To begin with let me say that this is a really enjoyable novel. From the first, I was hooked, and delighted in every twist and turn that we have come to expect from the novelist who brought us the Harry Potter series. Rowling's private investigator, Cormoran Stike - what a great name!- is in the classic murder mystery style; a flawed, troubled, hard-living, hard- drinking ex-army officer, who is down on his luck but afraid of no one. His love-life is in the toilet, but he still manages to attract the ladies. At his side is his trusty new secretary Robin, as reliable as Batman's sidekick, a fiesty, quick-witted, normal girl from the north of England who is the prefect match for Strike's unorthodox methods and rock 'n roll family background. Together they make a winning team, especially as their is a possible simmering attraction just hinted at between them. But as we know, Rowling has a history of writing great platonic friendships between the sexes, so we only hope that there will be a sequel, so that we can find out if Robin goes through with her marriage plans to her perfect fiance or not. 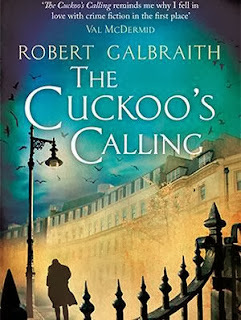 But what seems curious to me is that J.K. Rowling chose to reinvent herself with this book, using the pseudonym Robert Galbraith, and not her first post-Potter publication, 'The Casual Vacancy'. My own theory is that she uses the pen name to create some distance between herself and the story. Indeed, there are some parallels between Rowling and the murder victim at the center of this novel , Lula. 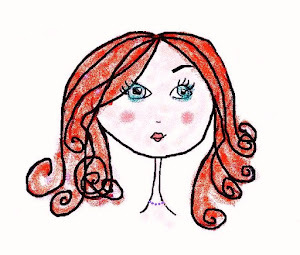 Like Rowling, Lula is world famous, and spends her life in the public glare. She is followed by unscrupulous paparazzi who make a living out of the suffering of others. The author certainly has much to say about the behaviour of the British press, and even refers at one point to the practice of phone tapping. Of course, Rowling herself was involved very publically, in the recent Leveson phone-hacking inquiry in Britain, so the impact of such intrusive behaviour was obviously on her mind and such thoughts have found their way into the narrative here. Here Galbraith (aka Rowling) cleverly chides the British tabloid press and comments on their lack of moral judgement when interfering in the lives of the famous, and sometimes vulnerable members of the public, through the mouthpiece of this male author, while leaving herself out of the argument. Cleverly done Joanna! What this novel does so brilliantly though, is to put celebrity under the microscope; to question if happiness does follow fame, to consider the long line of hangers-on who silently group themselves around celebrities, like hungry sharks waiting to attack; and the endless minor celebrities who would do anything to get one notch higher on the fame ladder. The divas, dodgey dealers and even the druggies are all mentioned here. By setting the story in the world of modling, Rowling cleverly keeps the novel at one remove from herself and the world of film and books, that she knows so much about. As such, the novel was a fascinating study on what fame is really like and the very act of writing about it at all and in such an honest way, reveals just how unchanged and normal Rowling is, despite her reknown thc world over.